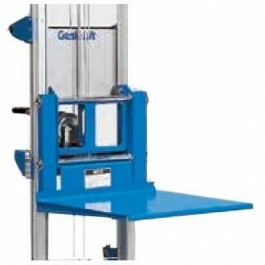 This material lift features a maximum lift height of 5 ft 11 in and a load capacity of 500 lbs. Comes equipped with a standard base. 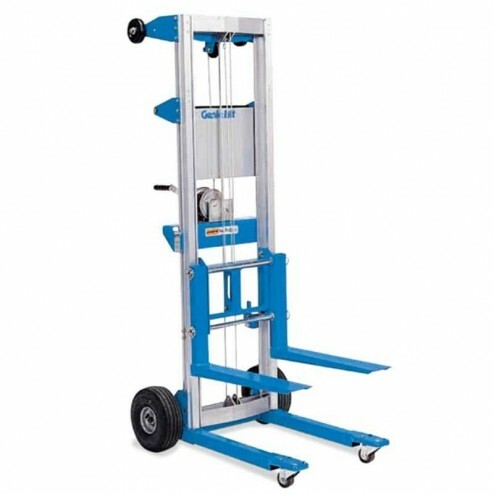 The Genie GL-4 Standard Base Material Lift is equipped with 8" non-marking rear wheels and 2" dual wheel front swivel casters. 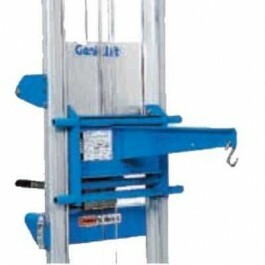 Ideal for shipping/receiving, handling cement bags, moving office equipment and thousands more. Easily loads and unloads from vehicles. Frame features an aluminum telescoping design makes it compact and easy to transport. Equipped with a hold-down mechanism for safe transport. Designed for single door access. 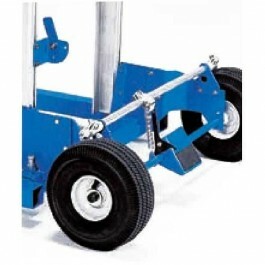 Winch handle is reversible for easy storage. 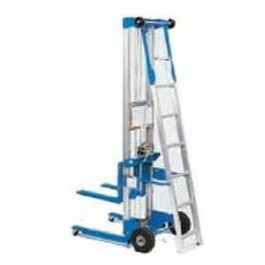 Optional load platform, boom, aluminum ladder, pneumatic rear wheels, casters and more.